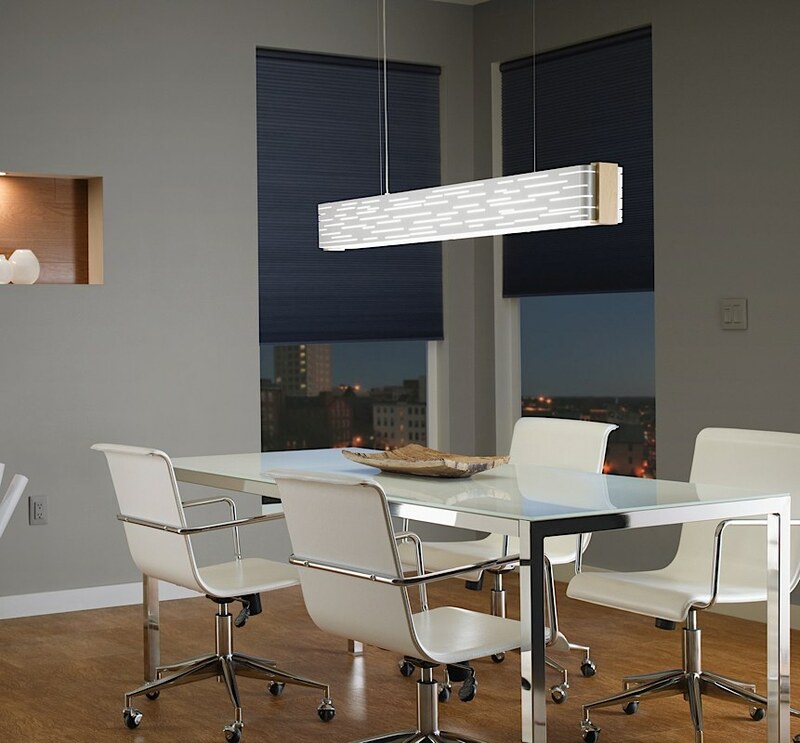 Sleek and dramatic, the Revel Linear Suspension features a metal surface with lasercut slots to allow light to shine through the inner white diffuser. This is the perfect light for your kitchen, dining room or office! A glare free wash of light is provided through the bottom glass diffuser. Wood end caps in maple wood or walnut wood can be used to offset the all metal look. Alternatively, a metal cap in the same finish as the linear suspension can be chosen. Please indicate your choice of metal or wood end cap in your order notes. This fixture includes two 54 watt high output T5 linear fluorescent lamps. The drop length is adjustable, with a maximimum drop length of 8 feet. Ships with extra center power feed canopy and side post for applications with a centered junction box.